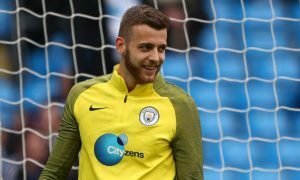 Norwich City hopes of retaining impressive Manchester City goalkeeper Angus Gunn for a second loan spell may depend on if they win promotion or not. Gunn, 21, has been excellent for his boyhood club since joining on loan at the start of the season, and even won a shock call-up to the England national team last year. His long-term future at City is complicated by the presence of Ederson and could depend on how regularly he is looking to play, but according to Alan Nixon, City are looking to get him on display in the Premier League soon. Norwich are currently below the Championship’s play-off spots but are still in with a chance of making them, although the automatic promotion spots look well out of reach now. And it seems that their hopes of seeing prodigal son Angus Gunn after this season may depend on them winning a return to the top-flight.